When it comes to learning, everyone is visual. We see things in our minds and experiment with ideas on paper or board. Who among us will say no to see an animated version of our lessons? The education system is changing every day, with new discoveries and innovations that enhance understanding. At this stage, studying old-school information can prove non-constructive. We see the world through creative eyes and judge what we see based on how things look. The University of Wollongong proved as much in a study on Slowmation. Instead of page after page of words, we have animated images with a scattering of key words that convey the same message faster and in a more interactive fashion. This idea is already being used in schools and universities. Check out what the University of Oradea is doing with it. Their dedicated semester provides a course on how animation can effect change in education. With fast-paced careers in an innovative modern market, education needs to speed up so students can catch up to ever-growing interconnected fields of work and research. An animated lesson is highly retentive. It involves you in the flow, teaches you to tap into your own creativity, and makes you curious. This is more than what dry text is doing for students today. Animation hints at story telling, and students respond to these better than most other educational tools. Stories spark interest and make room for characterization that further enhances retention. Those with learning disabilities especially benefit from such animations. They are engaged and involved in the lesson; happy to learn. Even those kids living far apart or in rural areas with little to no contact with other students can enjoy the benefits of animation. A stop-motion animation project from Microsoft is making waves in education. It’s inspiring students to pursue education on equal footing with the rest of their batch, no matter the distance or curriculum. More and more institutions are adopting this highly simplified mode of learning. Take VIA University College, and their animation categories for diverse subjects; materials science, nursing, business and design, engineering, architecture and more. Exploring the sheer possibilities of this approach to learning/teaching has taught us that dreams and goals are defined by the tools we use to achieve them. With increasing tuition costs and the price of study material, not to mention sundry school extras, the amount of money that can be saved by replacing textbooks with digital animation is a welcome deal. Even teachers are finding it leagues simpler. It is a very real fact of life that teachers these days are not how they used to be. Several are not good at their jobs, because they too are finding the pressure of catching up hard to balance. 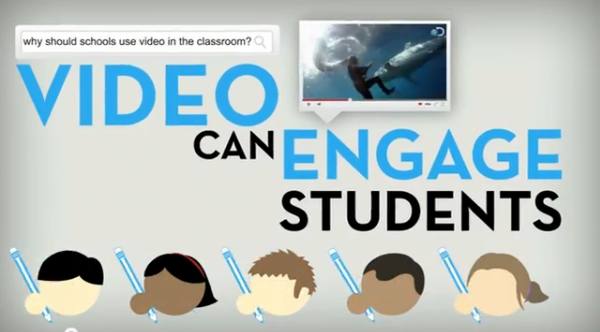 Through animation, teachers can soak up variations in subject knowledge. Once they know what’s new in their line of work, passing it down to their students using the same or similar methods is not far-fetched. For one thing, students, and often teachers, no longer need to be bored out of their minds when class is in session. Education laws make room for innovation and expansion, to teach the next generation more than what was shared with the generation before. The need is to learn more, and to learn it faster. Reputed organizations like EduCause have placed their vote for animation in education. This is the missing bridge between our current education levels and a more evolved teaching technique. With interactive and visual elements in the classroom, less has indeed become more.